Oh my little darlings! Finally we are together! Another reason I love them is their unapologetic cuteness. How can you not be taken in by these little green mini-me “cabbagettes”? And who really in the veggie family can claim to be “cute” (ok, fine, barring all other mini-me veggies)? To prepare, I just steamed them and then tossed them in a little butter and salt. Yum! I was reluctant to share my stash but, to my surprise (! ), no one in my family fought me for the delicious sprouts. Have they lost their minds?! Oh well, there’s no accounting for taste I suppose…and more for me in the end! You described the veggies very well. I would never have thought of the phrase s “unapologetic cuteness” and little green mini-me “cabbagettes” applied to brussels sprouts! What lovely writing! 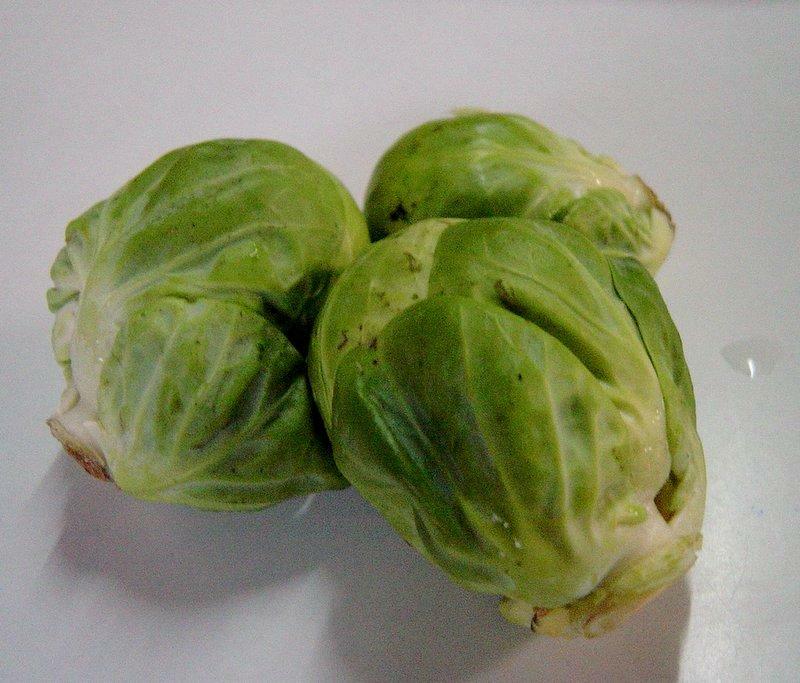 I think there are farms in Bukidnon which grow brussels sprouts. You know what’s better than Brussels sprouts? Brussels sprouts cooked with diced bacon! Okay, you know I’m obsessed with bacon, but seriously, the flavors go really well together! Steamed and topped with a bit of salted butter’s okay, but I prefer mine sauteed lightly with some minced ham and onion – BLISS! I also recently just discovered brussels sprouts and I daresay that I love them. 😛 I don’t know if you can eat them raw, but I do — sometimes. I’ve also heard that they go well with bcaon and balsamic vinegar. Midge, I found the little critters at Santi’s deli. I also found some at Rustans Supermarket at the Power Plant Mall (near where the salad stuff are).